Founded in 1920, the University of Northwestern Ohio (UNOH) is a private, not-for-profit institution located in the Midwestern town of Lima, Ohio. UNOH is accredited by The Higher Learning Commission. UNOH offers a well-rounded education in your field of study along with opportunities for social and emotional growth through student activities, recreational facilities and Limaland Motorsports Park. Our diverse international student body comes from 30 different countries. Many of our international students participate in one of the universities' 15 intercollegiate teams. Earning your degree in the United States is a big step. 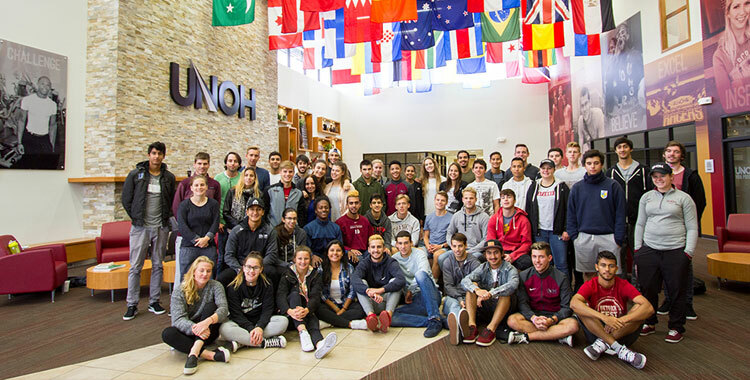 International Student Services (ISS) supports our international students throughout their career at UNOH by promoting student achievement and providing support, advocacy and programming support to the UNOH international graduate and undergraduate students.